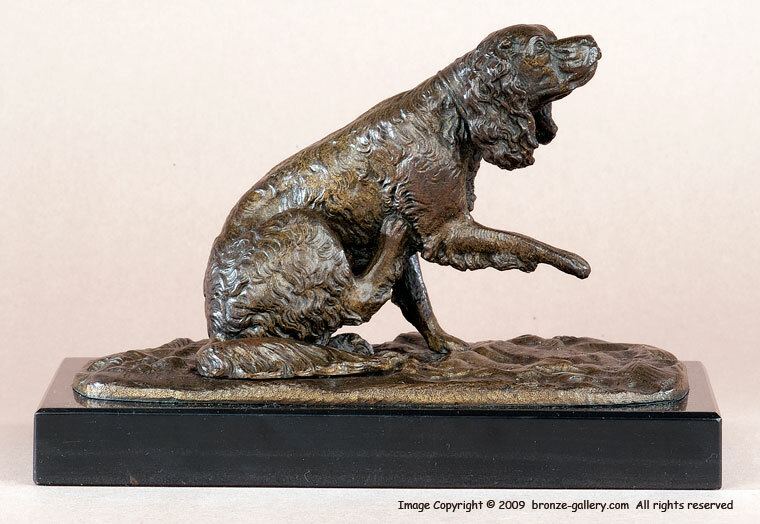 Here is an early model of a King Charles Spaniel scratching his side. It is very much like the 18th century bronzes in style. 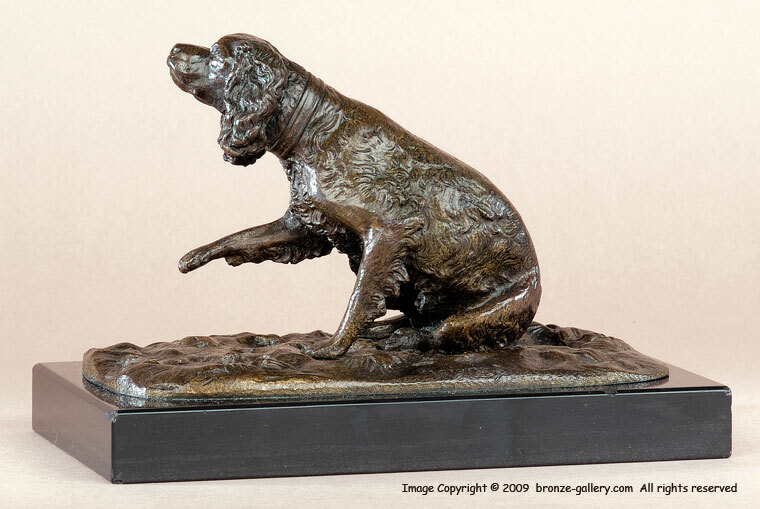 The later works by Moigniez have a rimmed base and this fine dog has a flat base with a textured ground which would date from the early 1850s. The original black slate base is also typical of the early bronzes. And the King Charles Spaniels were very popular during this time. It is signed on the base and the texture of the Spaniel's coat is very well defined. A wonderful example of an early dog by Moigniez, it is finished in a rich mid brown patina with hints of old gilt.